The future of the Red Sox is clear, whatever the Red Sox decide to do in free agency. 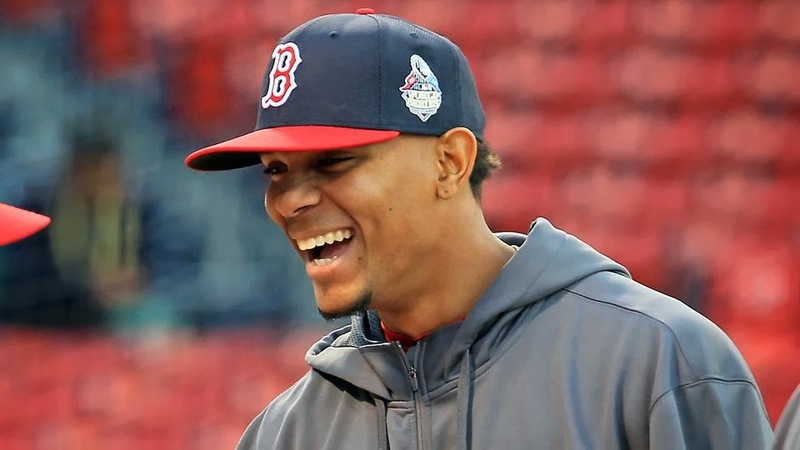 Much like in 2007, when Jacoby Ellsbury emerged in the run to the championship as a young superstar, Xander Bogaerts has emerged as the next young superstar of the Boston organization. Bogaerts was the youngest player in franchise to appear in the Fall Classic and boy, did he respond. According to ESPN, he hit .296 in 27 AB's with 3 doubles, 1 triple, and 2 RBI's. Not too shabby from a guy who is only 21. He had a great run in the playoffs and was important since taking over for good for Will Middlebrooks at 3rd. I like Middlebrooks, but he was not getting the job done. Xander came in and provided a spark offensively and defensively. With the parade still fresh, it is still unclear as to what the Red Sox will do at shortstop. Right now, they could either re-sign Stephen Drew or let Drew walk and tell Xander "This is your job now." If they let Drew walk, Xander told the Herald that he is ready to start from day one and that his experience to this point has been valuable. Drew meant a lot defensively and had a solid regular season at the plate, but went completely silent in the playoffs at the dish until his big home run in game 6 of the World Series. And I think Xander could be just as good, if not better, than Drew defensively given time. But, again, I can't tell what the Sox will the Sox wil do in free agency, so they may decide to keep Drew around for another year or two. Drew or Xander. That is the question. Who will be the Red Sox shortstop next year? Or keep Xander up as a back up to Will Middlebrooks at 3rd? What do you guys think? Hit me up on Twitter (@ConorJF1016) or leave a comment.